Dampness in chimneys is a common problem and quite often many attempts at solving the problem fail due to misdiagnosis of the cause and/or incorrect treatments being used. 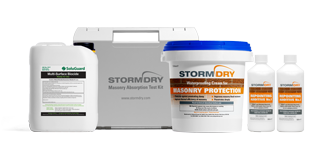 There are two particular causes of dampness that are suitable for treatment by the Stormdry range of products. 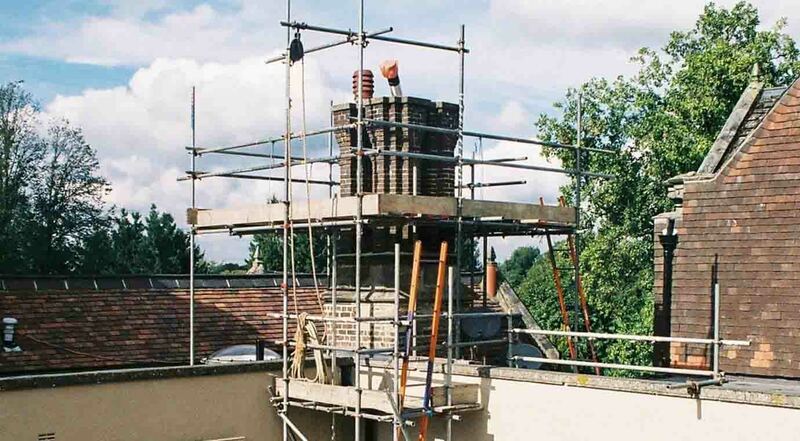 A chimney stack is by its very nature exposed to the elements. A combination of wind and rain coupled with defective rendering, pointing and porous bricks allow this rain to be absorbed and permeate downwards, resulting in damp exhibiting itself internally. Actual water can enter the structure, should the chimney not be sealed/capped correctly or if the flashing has come away. Defects such as cracks and voids can also allow rainwater to enter through this vulnerable area resulting in internal damp areas. 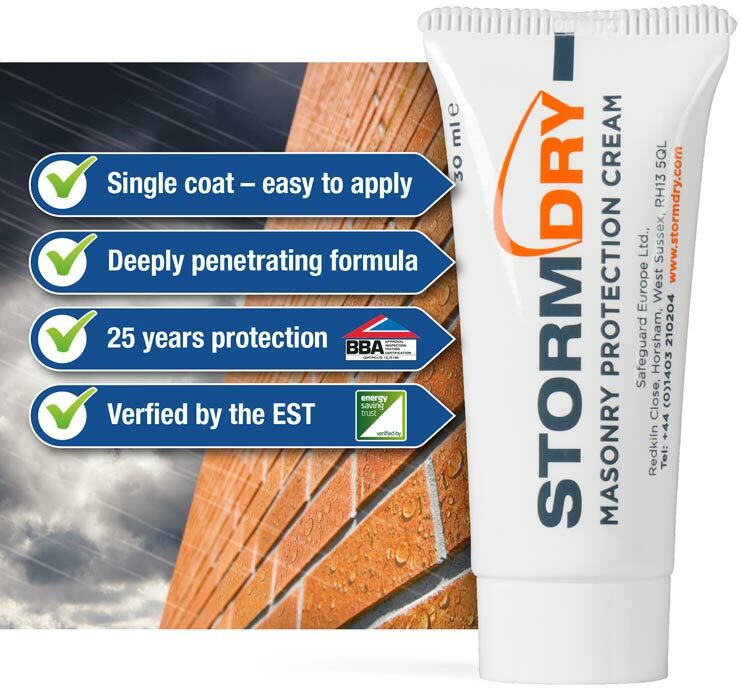 Assuming the structure is sound and free from defects, Stormdry Masonry Protection Cream can be applied to the brick faces and mortar to provide a colourless, textureless and residue-free protective barrier to penetrating rain. Using Stormdry in this application will give you in excess of 20 years protection. In some cases it might also be beneficial to inject a Dryzone DPC at the lowest accessible point in the chimney stack to mitigate moisture tracking down this route. Any obvious defects will need to be addressed. This might include repair or replacement of flashing and possibly the introduction of a cap or cowl. Pointing is often quite porous and over time is subject to cracking due to a combination of penetrating rain and a cyclical freeze-thaw process. This can be solved by repointing the chimney stack incorporating Stormdry Repointing Additive No. 1, or by using Stormdry Repointing Additive No.2 in areas prone to strong wind-driven rain. Safeguard Europe Limited provides information on this web site for your personal use. Access and use of the information is subject to the terms and conditions displayed on the site and all applicable laws. By accessing, and using information on, this web site, you accept and agree to be bound by these terms and conditions. We strongly recommend that you contact us directly for further help and guidance on all aspects of our products and services. ©Safeguard Europe Limited, Horsham, West Sussex, UK, RH13 5QL. All Rights Reserved.